Time to sell your Sandpiper condo? Read about today's resort-market condo buyer. 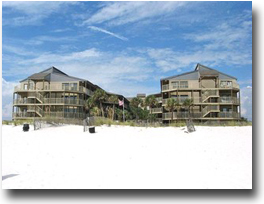 Sandpiper condominium complex is located 1.5 miles west of Highway 59 in Gulf Shores, Alabama. This three-story, 48-unit, wood-framed complex was built in 1984. 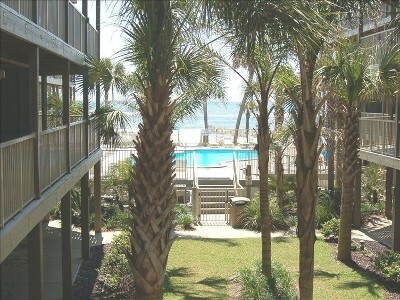 It is situated directly on the Gulf of Mexico offering its owners/renters direct beach access. The building is made up exclusively of two-bedroom/two-bathroom units that are approximately 863 square feet. The views for each unit vary throughout the building with units offering direct gulf-front views, indirect views, and units that face north. Sandpiper is located one mile and half west of The Hangout restaurant and the "T" in Gulf Shores. The complex offers an outdoor pool, nicely landscaped courtyard, BBQ grills, and covered parking. Prices are low enough to cash-flow depending on financing, supplemental efforts and location within the condominium. Please let us know if you would like further info for Sandpiper or any other condos, homes, or real estate along the Gulf Coast or would like to schedule a private viewing by emailing info@condoinvestment.com or by calling (251) Area-Pro (251-273-2776) for immediate assistance. Learn how to increase Sandpiper rental revenue using these RENTAL TIPS. Visit our Condo Revenue page to find annual rental incomes for Sandpiper and all other Gulf Shores condos.